Sovereign Private Health Cover and Private Health Plus enable you to take control of your health so that medical conditions can be treated promptly, at a convenient time and location, and with your choice of medical provider. Health insurance is a policy which meets the costs of a range of private medical procedures and treatments. These include surgery, cancer treatment, diagnostic imaging and tests, medical hospitalisation, specialist consultations, home nursing, treatment away from home and treatment overseas. Get full reimbursement of covered medical expenses up to high annual limits. Better still, get pre-approval for any covered expense so you don’t have to pay first. Choose from a range of excess levels to tailor your premiums to your budget. Get cover for yourself or your family. Access private medical care, when and where it suits you. Comprehensive cover for a wide range of medical expenses. No-limit prior approvals and payments made direct to provider. Option to choose Australia for any medically necessary treatment. Option to suspend cover and premiums while travelling overseas. Option to suspend cover and premiums while unemployed. Sovereign Private Health Cover provides cover for private hospital surgical and hospitalisation, cancer care and supporting diagnostic procedures. Upgrade to Private Health Plus and get additional access to specialist consultations and cover for diagnostic imaging and tests outside of surgical procedures or hospitalisation. Private Health Plus also provides loyalty benefits designed to keep you healthy. Excess options: No excess, $250, $500, $750, $1,000, $2,000 or $4,000. Selecting an excess will reduce your base premium by 17%, 26%, 32%, 40%, 55% or 70% respectively. $300,000 per life assured per policy year (unlimited for surgery). $500 per procedure, up to $1,000 per life assured per policy year. No excess applies. $300,000 per life assured per policy year. $100,000 per life assured per policy year. $300 per day, up to $5,000 per life assured, per policy year. No excess applies. One year’s free cover for the surviving lives assured covered by the policy upon the death of a policy owner before they reach age 70. No excess applies. $2,500 per life assured per lifetime. No excess applies. $300 per day, up to $3,000 per life assured, per policy year. No excess applies. Benefit maximum for the applicable benefit applies, subject to additional limits, exclusions and requirements. Benefit maximum for the applicable benefit applies. $30,000 per life assured per policy year. One year’s free cover where a life assured has a treatment or procedure in a public hospital that would otherwise have been covered by a benefit in this policy and that treatment or procedure includes overnight admission of two or more night’s stay. No excess applies. $300 per day up to $3,000 per life assured, per policy year. No excess applies. Up to $5,000 per life assured per life of the policy. $30,000 per life assured per lifetime. Excess options for these additional benefits: No excess or $250. Selecting an excess will reduce your base premium by 17%. $10,000 per life assured per policy year. $750 per life assured, per policy year after three years of continuous cover. No excess applies. $500 per life assured for each three-year period. No excess applies. You can choose to have no excess or an excess of $250, $500, $750, $1,000, $2,000 or $4,000 per annum. Selecting an excess will reduce your base premium by 17%, 26%, 32%, 40%, 55% or 70% respectively. Get 100% reimbursement of all your qualifying medical expenses, including unlimited surgical cover and up to $300,000 per person per year for cancer care. Get pre-approval for any covered procedure, for any amount. No minimum applies. Have your provider paid directly so you don’t have to pay first. Covers surgical outpatient procedures at a private hospital, day clinic or specialist’s rooms, including necessary angiograms, MRI and CT scans. Covers approved medical expenses for treatment at an overseas hospital, when treatment cannot be provided in New Zealand. Includes two return economy class airfares, one for a support person. You receive a cash grant of $300 per day after the second day, if you are admitted to a public hospital. The benefit limit is $3,000 per insured person per year. No excess is applied, even if you selected one. It’s more than a health insurance policy. It covers qualifying costs for home nursing care and caregiver accommodation, and a bereavement grant of $2,500 is paid if an insured person aged between 21 and 59 (inclusive) dies. No excess is applied. No medical examinations or tests are normally required to get cover. Assessment is almost always solely based on the information you provide in our online application form. 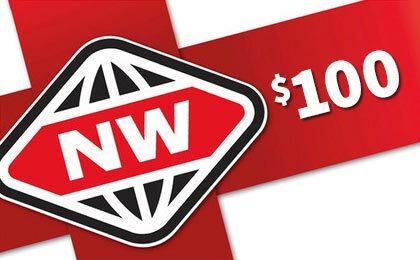 Apply online today to be eligible for a $100 New World Gift Card (minimum premium required) and 3x Airpoints Dollars™.